It is difficult to be critical of Israel without having one's words misinterpreted, twisted, their meaning inverted. A controversy centering on the Turin Book Fair is raging in Italy, amid conflicting claims and counter-claims. French Journalist Pierre Assouline in a recent blog entry further distorted the terms of the debate. The facts are these: The Turin Book Fair first designated Egypt as guest of honor, before changing its mind and inviting Israel, to commemorate that country's 60th anniversary of statehood. A movement made up of political parties, individuals and organizations supporting Palestinian human rights demanded that the invitation be rescinded and another country invited. In their eyes, it was indecent to commemorate a state -- by declaring it "guest of honor" -- whose government shows no respect for the Palestinian people's human rights and inflicts upon them daily humiliation. When the Turin Book Fair administration refused, the movement appealed to writers and to the public to boycott the event. In response to a question from the Italian press agency ANSA about the "boycott appeal," I clearly stated that it was neither normal nor decent to commemorate Israel when Israeli state and government policies in the devastated occupied territories are clear for all to see. 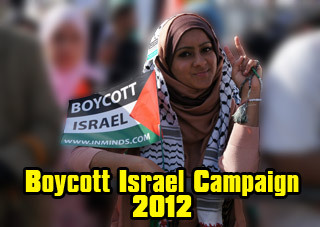 The boycott campaign is intended as criticism of the "guest of honor." It is not an attempt to prevent Israeli authors from attending or from expressing themselves. It does not refuse to engage them in debate. A propaganda campaign denounced the initiative as anti-Semitic, a denial of freedom of speech. Or, as Pierre Assouline puts it, "a boycott of Israeli authors." Mr. Assouline also attributes to me a falsified statement. I stated, he alleges, in an interview with La Repubblica: "It is clear that we can approve of nothing coming from Israel." In the first place, I never spoke with anyone from La Repubblica; in the second, I never made such a statement. I have repeatedly stated that all women and men of conscience -- a category by no means restricted to Palestinians or Arabs -- should boycott the Turin Book Fair (as well as the Foire du Livre de Paris) when the guest of honor is a country that refuses to respect the rights and the dignity of peoples. I further stated that refusal to remain silent on international issues is the only way to bring an end to the violence wracking the Middle East. It is curious indeed to observe how those who defend Israel's policies are prepared to twist words, to lie, and to claim that the position adopted by the boycott appeal is equivalent to anti-Semitism, that it denies Israeli authors' freedom of speech! The accusation is absurd. To refuse to "commemorate" Israel and its repressive policies has nothing to do with anti-Semitism or with denial of freedom of speech. It would be appropriate to emulate Israeli poet Aharon Shabtai's decision to boycott, as an individual, "both the Turin Book Fair and the Salon du Livre de Paris, by not joining my country's delegation." He adds: "I do not believe that a state that maintains an occupation, that daily commits crimes against civilians, warrants being invited to any cultural event whatsoever. Such a thing goes against culture; it is an act of barbarity disguised as culture. It displays support for Israel, and perhaps also for France, which supports the occupation. I do not intend to participate." Aharon Shabtai will be called a "self-hating Jew," who stands alongside all the "anti-Semites" of the world. The same old refrain. Common sense should be our guide: the international community's silence over the plight of the Palestinians is shameful enough without adding insult to injury. A human conscience with a minimum of values, principles, and dignity can have nothing to do with honoring a state whose political and military practices are an insult to our consciences and to our honor. 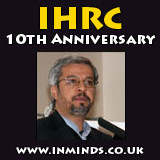 Tariq Ramadan is Professor of Islamic Studies at the Faculty of Theology, the University of Oxford. He is also a visiting professor at Erasmus University. He is currently a senior research fellow at St Antony's College (Oxford), Doshisha University (Kyoto), and the Lokahi Foundation (London). Tariq Ramadan, a prominent European Muslim scholar, is calling on “all people of conscience” to boycott the forthcoming Turin Book Fair in Italy. Ramadan's outrage stems from the fact that the Turin festival organizers have decided to honor Israeli literature because it is the Jewish state's 60th anniversary. Luminaries from the world of Israeli letters like David Grossman, Amos Oz, A.B. Yehoshua, and Etgar Keret are scheduled to attend. As debate about the book-fair boycott has escalated in Italy and France -- Ramadan has also called for a boycott of the Paris Book Fair because it too is honoring Israel -- Ramadan has posted a message to his own Web site in order to clarify his position. "The boycott campaign is intended as criticism of the 'guest of honor,'" writes Ramadan, a research fellow studying Islam and philosophy at the University of Oxford. "It is not an attempt to prevent Israeli authors from attending or from expressing themselves. It does not refuse to engage them in debate." "It is curious indeed to observe how those who defend Israel’s policies are prepared to twist words, to lie, and to claim that the position adopted by the boycott appeal is equivalent to anti-Semitism, that it denies Israeli authors’ freedom of speech," Ramadan continues. "Common sense should be our guide: the international community’s silence over the plight of the Palestinians is shameful enough without adding insult to injury. A human conscience with a minimum of values, principles, and dignity can have nothing to do with honoring a state whose political and military practices are an insult to our consciences and to our honor."